Robert Mueller has gone off the rails. 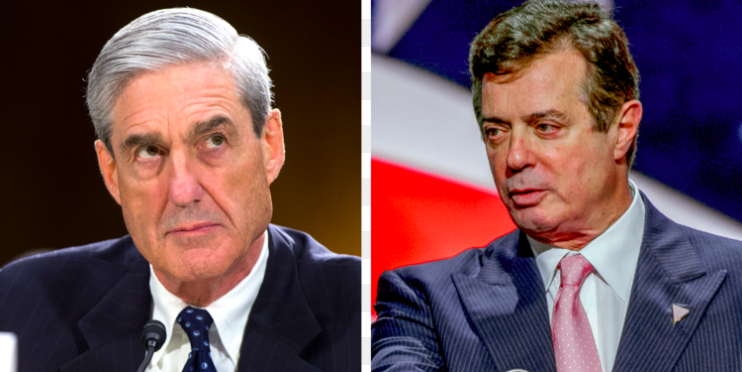 Instead of prosecuting any of the obvious crimes committed by the Clintons and Obama administration, Mueller just filed 32 new charges against Trump's former-advisors. These weren't election crimes. Mueller is going so far off the reservation that he is charging Paul Manafort with lying on a form when he applied for a home mortgage. Join the Fight! Send your instantly delivered FaxBlast to Congress below and DEMAND that they pull the plug on Robert Mueller's witch hunt and FORCE the appointment of a special prosecutor to go after these Clinton and Obama crimes! In recent months, we have learned a lot about the crimes committed during the 2016 election. We learned that a political candidate and her party illegally paid a foreign agent to compile a dossier claiming her opponent was a Russian spy. We learned that the sitting President and his administration used this fake dossier in order to spy on their opponent's campaign. We learned that FBI agents secretly admitted there was no proof of collusion, but hated the candidate so much they were going to work to get him impeached anyway. We learned that a sitting-Secretary of State profited personally, and through her charitable foundation, in return for agreeing to allow Russia to purchase 20% of America's Uranium reserves. And now, we are hearing that the 302 notes stemming from an FBI interview were altered after the fact to allege that a White House employee lied to the FBI, when the agents originally reported that he did not lie. All of these are crimes. All of these include allegations of "collusion." However, none of them are being prosecuted. Instead, Robert Mueller just filed 32 new criminal charges against Trump's former aides. No, not about election crimes. Mueller is prosecuting Trump's former campaign manager for lying on a form when he applied for a home mortgage back in the mid-2000s. Robert Mueller's investigation has gone off the rails. He has gone far beyond his mandate. You need to rein him in. Cut off funding to the Mueller witch hunt and FORCE the appointment of a special prosecutor to investigate all of these Clinton and Obama administration crimes!